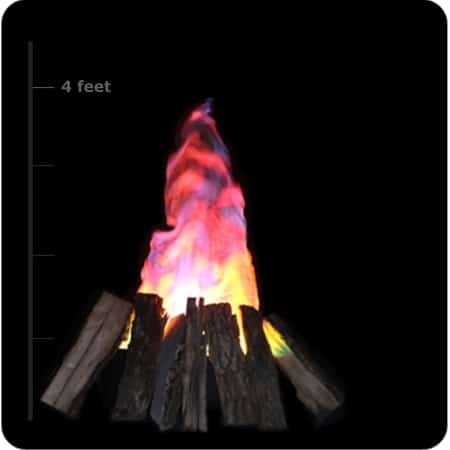 With 66 high output colored LED’s and a fan-driven, flame-shaped silk fabric you get the most realistic fake fire effect you’ll ever see…without resorting to the real thing that is! 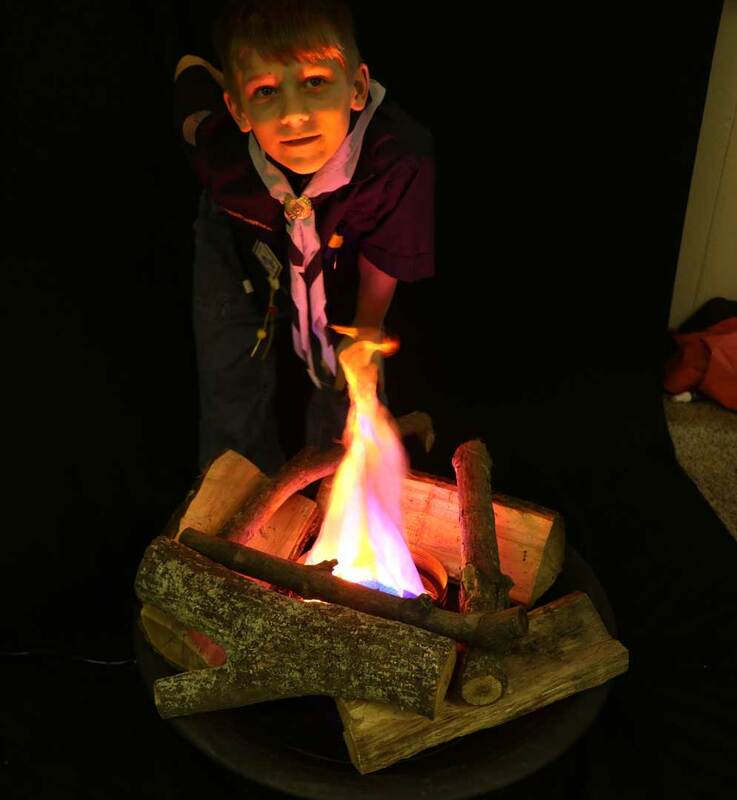 Let’s face it…kids love fires – especially fake fires! That’s why we take so much comfort in the fact that our units are so safe. From LED bulbs that are safe to the touch since there is no heat output and fan blades that are protected by a metal screen housing so no curious fingers could possibly get hurt. 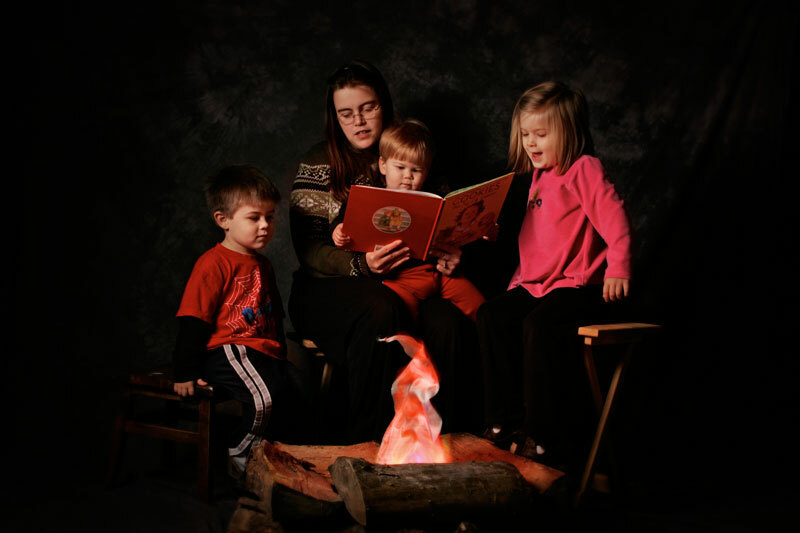 You’ll be at complete peace with an Indoor Campfires unit. 50,000 HR LED’s mean you’ll never replace them (that’s a long time). In addition, our unit is not made from cheap plastic like some, but rather has a coated steel housing/enclosure to protect the electronics. "I am a program director at a year-round camp. Sometimes I am asked to come to schools to do presentations. I bring the Plan B with me and set it up in classrooms or gyms. The fire is a hit." which fake fire unit is right for you? 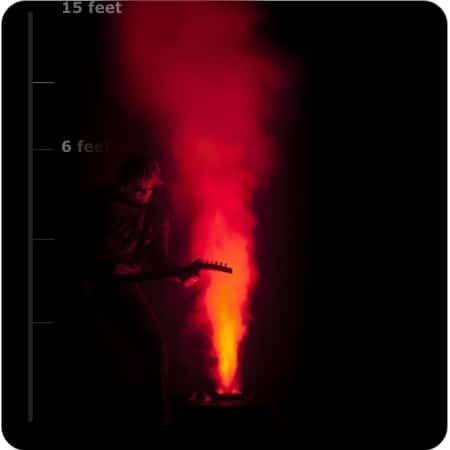 DON’T FORGET: Thanks to our optional fog machine, scents and crackling fire sounds, you have the option of making your fake fire effect that much more realistic. Don’t settle for less. 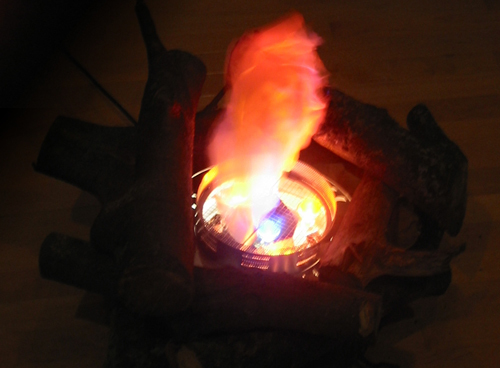 Go with the most authentic artificial fire flame and effect you can get without getting burned! 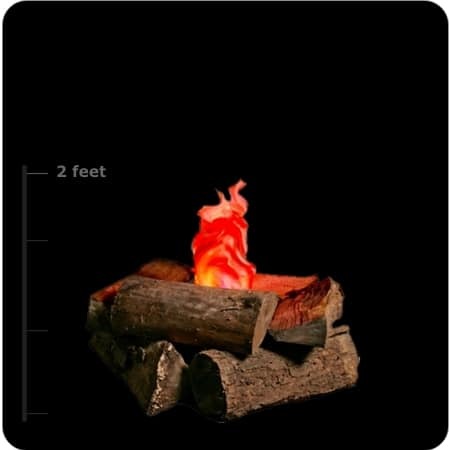 Why do I need firewood for a fake fire? Well, just like you wouldn’t think about having a real fire without wood, you need the firewood to completely hide the unit so that you can only see it when looking from the top down. This will completely sell the illusion and enhance the experience…which is what we want right? Unfortunately due to the infestation of the invasive insect (Emerald Ash Borer) in Midwest firewood, we cannot ship wood across state lines without special USDA permits. This ban affects 25 states which includes our warehouse location in Ohio. Click here to see a map of the states where this ban is in effect. Need Help finding firewood for your campfire? Lowes: (might only be available for pickup at your local store).